Kovalam is a destination which attracts not only the local tourists but tourists from all over the world. Regardless of the lifestyle, language or nationality, tourists are treated with utmost respect here in the land emphasizing on the culture which teaches "Adhithi Devo Bhava". So, you need not be immensely concerned about your comfort and safety. You will surely be treated well. But it would always be better, if you consider few things for your trip to Kovalam. The first thing you should take care of is to assure that your health is suited for the outing. You should carry the needed medicines and a first aid box. If you have any medical prescriptions don't forget to take it. Also before arriving at the place take proper vaccination. Though there are enough hospitals in Kovalam, you must not forget the above mentioned precautions. Climatic conditions in Kovalam shows great fluctuations based on the change of seasons. As the best time to visit Kovalam is summer, it is advisable to visit during that time. It always makes sense to carry sunscreen lotions because most of the time you will be exposed to direct sun. And if you prefer winter season, bring woolen cloths as the night gets really cold. To avoid any health issues, avoid drinking water from the public pipes or from the roadside vendors. You can drink water from any hygienic nearby restaurants and the better idea would be to carry enough mineral water bottles with you. When it comes to travelling there is no need to be worried about how to reach Kovalam. You can reach Trivandrum by rails or air. 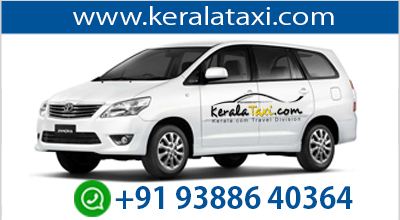 From there you can opt for buses, rickshaws or taxis to easily reach Kovalam. From both the railway station and airport, prepaid taxis and autos are available. This would be the best choice you can make. If you fetch vehicles from outside, before entering into the auto or taxi ask for the rates and check whether it's genuine and feasible for you. This really helps to avoid any issues which may otherwise occur after you hire the vehicle. Buses are the cheapest means to travel but it never offers the comfort of a taxi or rickshaw. So, if your budget is not that much tight, it's always advisable not to prefer bus. It is genuine not to carry huge amount of cash with you. Almost all hotels and restaurants here accept cards but you should have an adequate amount of cash with you for the local expenses. There are enough ATMs available throughout from which you can withdraw the needed amount. The people here are orthodox to a great extent and this should be kept in mind while you are in Kovalam. People in Kerala maintain certain level of decency in dressing and opposite genders keep a comfortable distance between them and show a mutual respect. So, first of all dress in such a manner that your body is not exposed to the level that you invite unwanted weird attention. Expressing love by kissing or hugging in public should be avoided. Unlike in the western nations, smoking is banned in public place. However in almost all Hotels and resorts in Kovalam, you will be availed with a separate smoking cabin. Kovalam is also famous as a pilgrimage destination and lots of temples, churches and mosques are there. There are some rules which must be followed to visit religious places. The first thing is that you should leave your foot-wears outside. Most temples and religious places have facilities to collect your foot-wears. You will be given a token which you will have to provide when you come back for your foot-wears. Also touching the idols in temple is not allowed. Some temples have certain customs which are to be followed like that of dressing restrictions. The main things to do in Kovalam other than Kovalam sightseeing include sunbath and adventure sports of different types. All adventure activities including boating should be enjoyed with care. The concerned instructors will provide you safety tips and the details regarding precautions you should take. The sea may sometimes become rough with strong undercurrents. In Kovalam beaches there are some life guards present who will alert you by blowing whistles if you cross the safe zone. There are lots of choices for accommodation in Kovalam ranging from high restaurants and hotels to cheap home stays. But before finalizing and paying the advance, make sure that all your anticipated facilities are there in the room. Check whether the AC or fan is working, water is available and inquire the concerned whether the power will be available throughout the day. Most reputed restaurants in Kovalam resolve the issue of power failures by using automated systems. In Kovalam Cuisines, herbs and spices are given great importance. Also you should remember that the people in Kerala use relatively more salt. So, specify your demand while placing your order. You will find lot of vendors in Kovalam and when you bargain with them be very careful if you are not skilled in that art; there are chances that you may loose money. Despite the fact that reports of any mishaps are very rarely reported in case of any issues, you need to hesitate to contact the nearby police station. If you prefer to travel back in train be sure that you reserve tickets well in advance. If there are no seats available, you can opt for 'tatkal' quota by which you can assure seats for you. However some reasonable extra charges will be there. To enjoy your trip and visit all the tourist spots in Kovalam without any hassles, you must always take care of the things mentioned above.